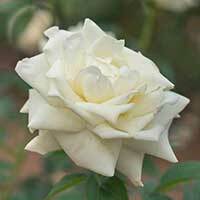 Ice, Ann F., formerly of Milton, of South Daytona, FL passed away peacefully on Monday, March 12th. Beloved wife of the late Grover Ice and Donald J. Henry. Devoted mother of Michael T. Henry and his wife Mary M. of Milton and Thomas J. Henry of Dedham. Loving grandmother of Michael, Danielle, Mary Catherine “Molly” and Julie Henry. Dear sister of Cathy Sullivan of Duxbury, Jayne Casey of Newton, Mary Ellen Callahan of Harwich and the late Marguerite Giza, Roberta Cafasso and Elizabeth Harrison. Private Family Celebration of Life Service will be held. Donations may be made in her memory to St. Jude Children’s Research Hospital, 262 Danny Thomas Way, Memphis TN, 38105.